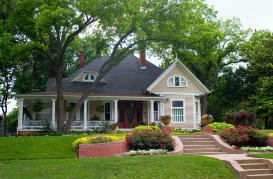 For most of us our home is our largest investment and biggest asset. That's why it is important to make sure you are carrying the proper coverage in the event of a claim. Unity Insurance and Investments writes homeowner policies that offer complete property and liability protection for greater peace-of-mind for you and your family. Whether you're purchasing a new home or looking for a competitive quote on a home you already own, we would be happy to go over coverage options with you and provide a free, no-obligation quote.